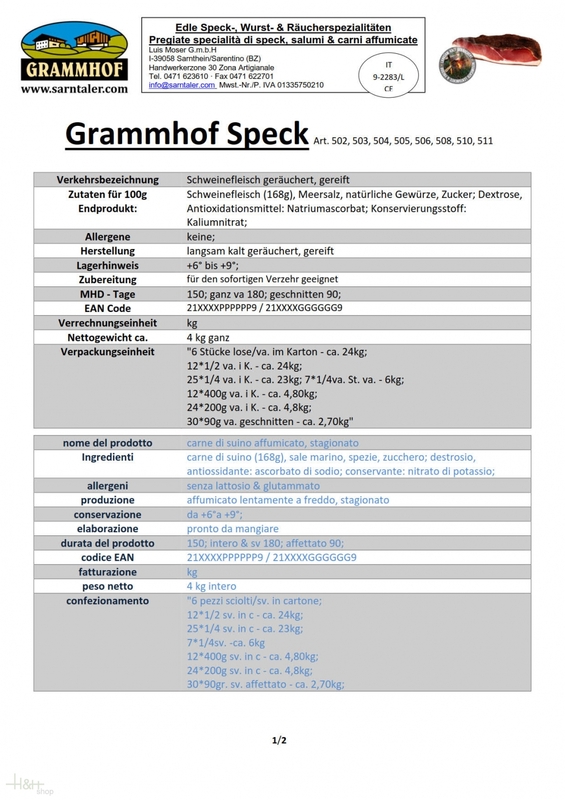 The special herbal mixture after old traditional farm prescription and smoking with selected, Sarntaler coniferous wood (mountain pine pine and juniper) give the "Original Grammhof Speck" the unique and unmistakeable taste. In the Sarntaler mountain air he is brought in six months to his maturity. 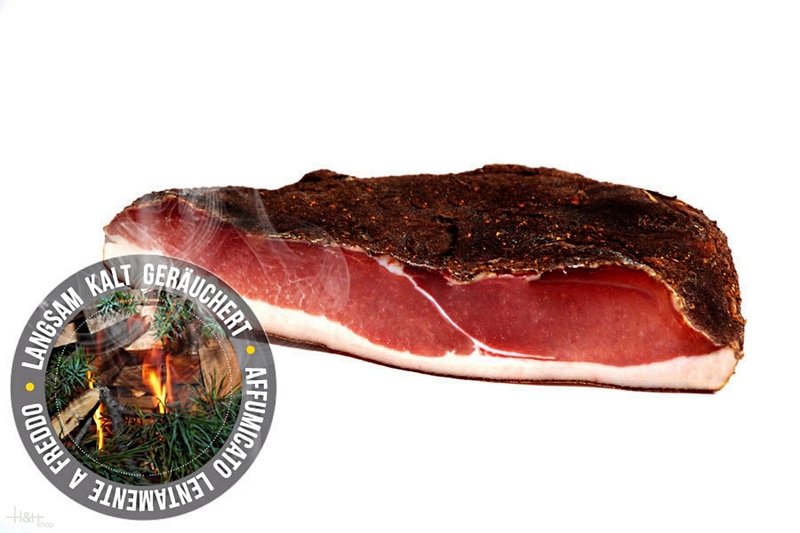 The "Original Grammhof Speck" of the company Luis Moser is produced under strict attention of the old, local tradition. Gold at the international professional competition in Wels / Austria.